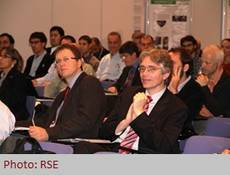 -Milan, Italy – Within the Conference “Experimental research and needs in support of the DER integration in the EU Energy System”, the Final DERri Meeting on 10-11 October, 2013, enabled public dissemination of the project results and achievements. 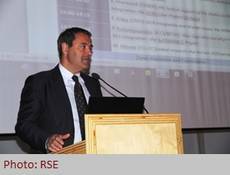 The event provided an overview on the research progress in Smart Grids, with special emphasis on the experimental and demonstration activities and needs. Participants had the opportunity to learn more on the initiatives by ISGAN, EERA and EEGI as well as on a number of exemplary projects encompassing some of the most topical issues around Smart Grids. The meeting offered an overview on the Joint Test Facility Tool JanDER, jointly developed to improve the exchange of information among the facilities and to remotely access tests and measurements performed in different laboratories. Presentations on the Networking Activities and the Research Cooperation of the laboratories demonstrated the procedure and the importance of the agreed guidelines for standardization of testing procedures on storage systems and large inverters. The Power-Hardware-in-the-loop concept, one of the outstanding results of DERri, was presented together with a standardization proposal for simulations based on agreed and validated Common Reference Models of DERs. The session was concluded by the report on the substantial number of research teams gaining the Transnational Access to the DERri facilities, where they had the opportunity to use the installations and experimentally validate their ideas and solutions free of charge. With the support of the European Commission and the ETP Smart Grids the Conference emphasized the importance of the DERri outputs and its objectives within the EU and the international context.